While studying in Granada, Spain, a few years ago, I took my camera up to the roof of the building where I was living at the time to see what I could see. 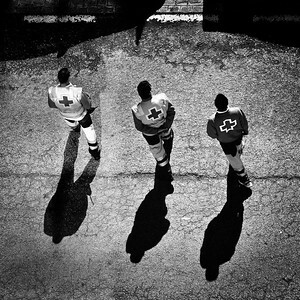 When I spotted these three paramedics slowly crossing the street below, I decided to snap a frame, and this is the result. With its peculiar shape, Suilven is clearly recognizable from just about any angle. 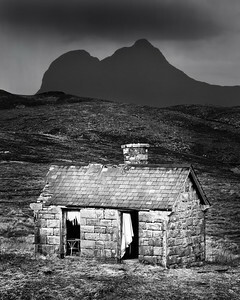 In this case, I tried to balance the visual weight of this old bothy in the foreground with Suilven looming behind it. 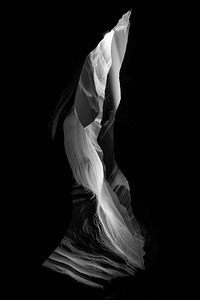 The sun passing overhead illuminated this narrow sliver of Antelope Canyon. 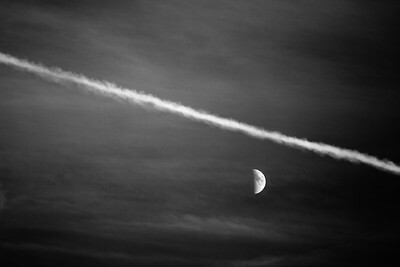 A contrail from a passing airliner created a perfect line to combine with the moon in this geometric shot. 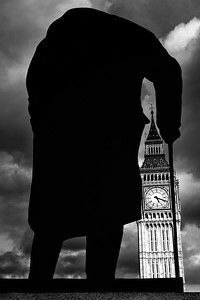 I spent considerable time at this location in London trying to find an intersting composition, and I finally settled on nestling Big Ben in the gap between Winston Churchill and his cane. 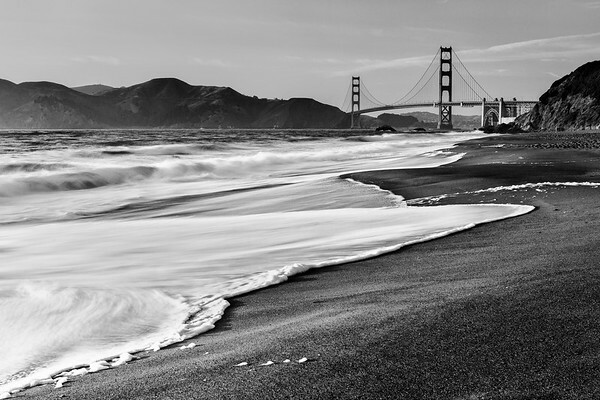 Gentle waves bathe the shore at San Francisco's Baker Beach. 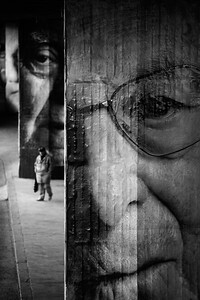 I had composed this shot at a bus station in Bratislava, and I was just waiting for someone to walk through the scene before pressing the shutter, when two ladies approached me and began speaking Hungarian, as one does. I had studied a little Hungarian two years earlier, so I knew enough to say, "I'm sorry, I don't speak Hungarian," which apparently was enough to convince them that I actually did speak Hungarian. After staring at them with no response for two or three minutes, they must have realized I was serious and decided to move on. 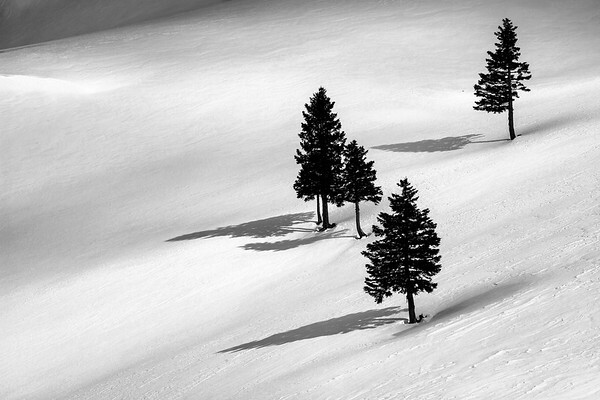 Taken atop Velika Planina in Slovenia, it took me some time to find the exact spot where there would be no overlap between any of the trees and shadows. 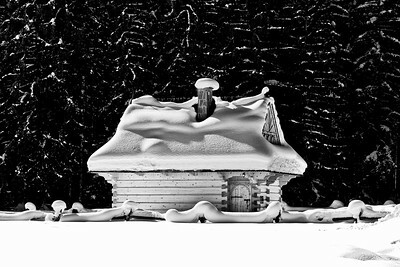 It was worth the effort, as this remains one of my favorite images. 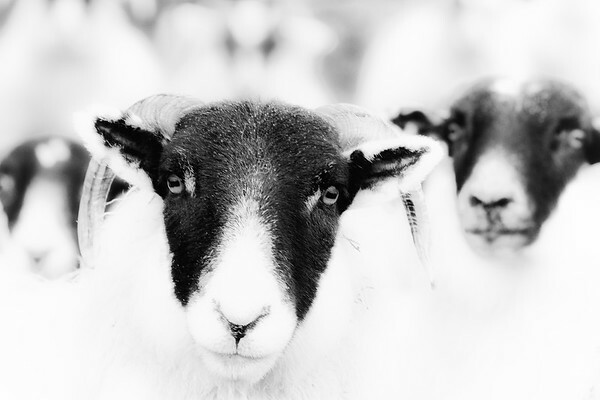 When I found myself surrounded by a flock of sheep, I had no choice but to photograph them. 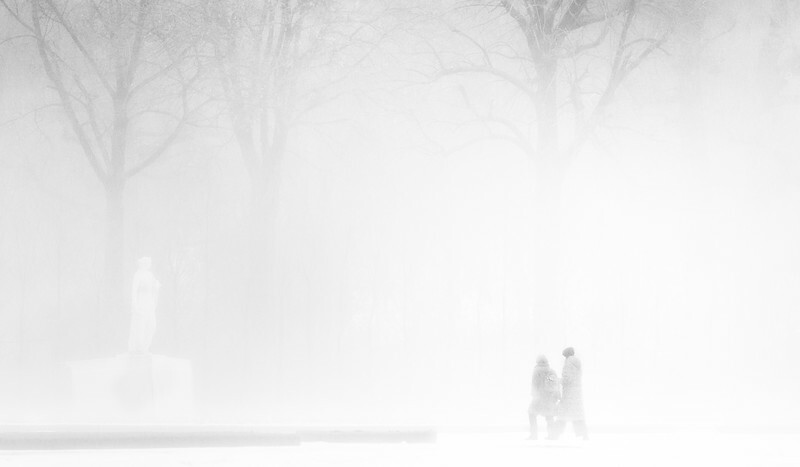 Snow and mist combined to severely limit visibility during a Christmas Eve stroll around the gardens at Schönbrunn Palace outside Vienna. 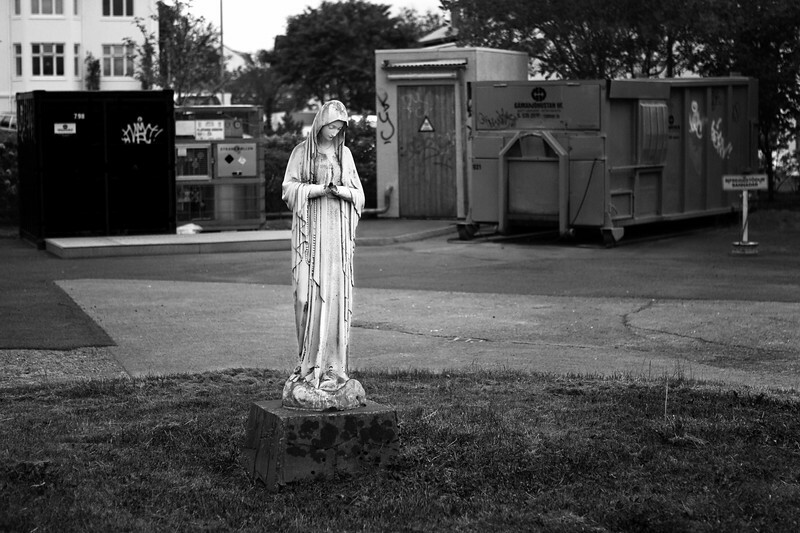 I liked the juxtapositoin of this statue of the Madonna and the dumpster and industrial equipment near a hospital in Reykjavik, Iceland. 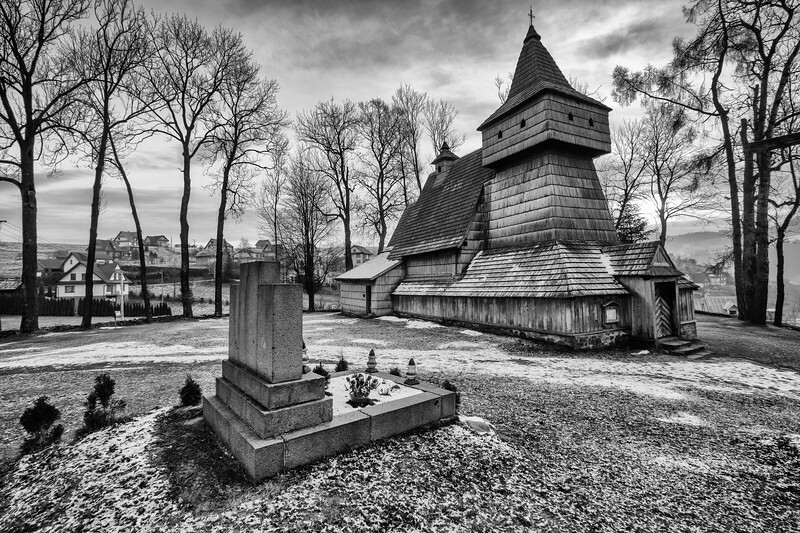 Southern Polish is filled with wooden churches, a number of which represent one of Poland's UNESCO world heritage sites.